Cell division happens in all organisms. Cell division takes place for different reasons. For example, single-celled organisms reproduce through cell division. In multicellular organisms, cell division is involved in growth, development, and repair, as well as reproduction. reproduction, which involves only one parent organism. In single-celled organisms, the parent divides in two, producing two identical offspring. In single-celled and some multicellular organisms, offspring result when a parent organism buds, producing offspring. 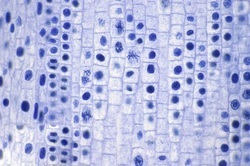 In multicellular organisms, reproduction by cell division can include plant structures such as runners and plantlet. Cell division also produces cells for repair. If you cut your hand or break a bone, the damages cells are replaced by new cells that form during cell division. Reading Check. Look at the pictures below. Read the questions by each picture BEFORE answering the question. Take a look at the paramecium. What is the role of cell division for this organism? Is it reproduction or growth and repair? 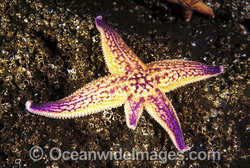 Take a look at the Northern Pacific starfish. What is the role of cell division for this organism? Is it reproduction or growth and repair?